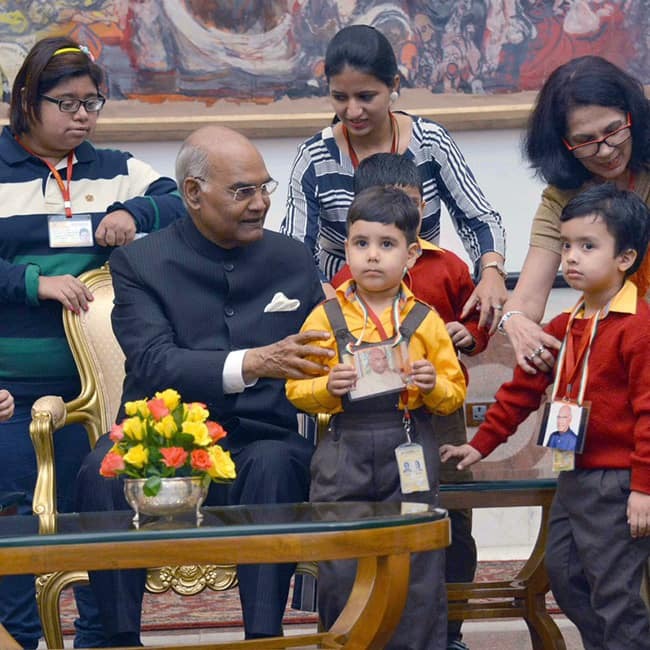 President of India Ram Nath Kovind meets students from various schools/institutions on Children's Day at Rashtrapati Bhavan. 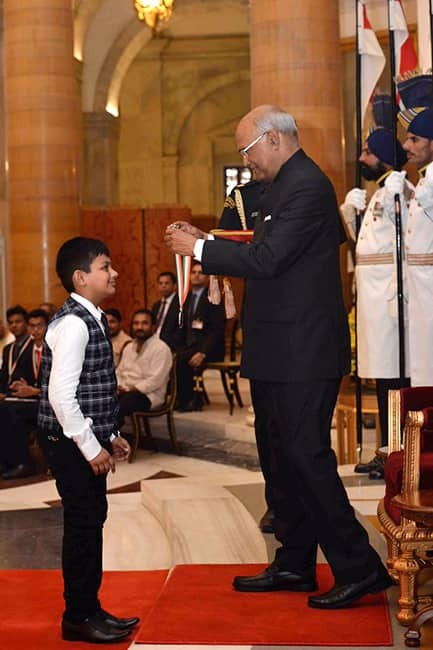 The President Shri Ram Nath Kovind gave away the National Child Awards 2017 on the occasion of Children’s Day in New Delhi today. The Awards were given in the presence of Minister of State for Women & Child Development, Dr. Virendra Kumar. The National Child Awards 2017 are given to celebrate the exceptional achievements of children; as well as to individuals and institutions who work for child welfare.